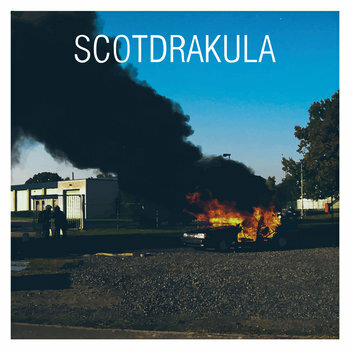 If the quality of album is determined by the number of plays you give it, and I think a credible argument can be made that it is so, this self-titled debut LP from the Melbourne garage rock trio ScotDrakula has earned a spot on my list of best albums. I've never been concerned about whether august music critics (I don't know who there are, it is enough to know that I'm not invited to their monthly lunches) will regard an album as a worthy artistic achievement five years down the road. For me, music is experienced viscerally and emotionally, and this album is a grade A infusion of adrenaline and youthful energy. This is music that cleanses. Not one of those icky sounding Gwyneth Paltrow type cleanses, of course. ScotDrakula works by making you feel the way you do when you stumble down the basement steps in the party house on Friday night, drink beer, dance, pogo, sweat, burp, smooch, and scream. You stagger home -- well, to someone's home -- and collapse. The next morning you wake up a bit blurry, but still vibrating. This music is cleansing because it strips away the niggling loose ends of stuff that bothered you yesterday, and just makes you feel alive. In fact, I wouldn't be surprised if doctors prescribed at least one spin of this LP every day. And rather than leave anything to chance, and since I did briefly consider medical school, I will prescribe it for you. Head to Bandcamp and fill your prescription. Unlimited refills. A rush of guitars and keys, with achingly beautiful female vocals and classic melodies makes (Stalking) You from Spain's Marlovers one of those under the radar gems that you need to experience. Listening to this album is a bit like letting warm, gentle waves lap over you as you sit on the beach on a perfect summer evening. 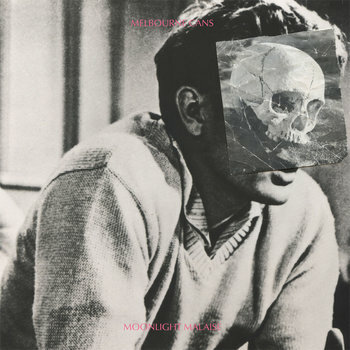 Dream to it, fall in love to it, make eye babies to it, but in any case sample the two tracks below, and then go to the Bandcamp page and stream the entire album. You'll find that picking the best track is a fool's game, because there is too much consistency to make a reasonable choice (that said, don't miss "Bittergum"). 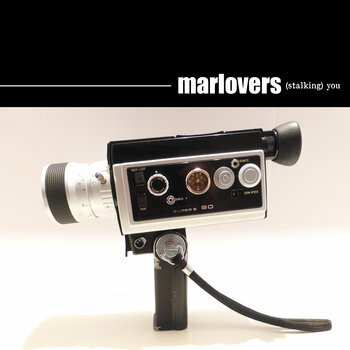 Marlovers have been a band since 2005, but (Stalking) You is their first LP. It is out now via Jigsaw Records. 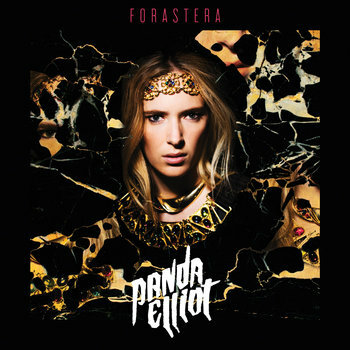 Panda Elliot isn't a household name yet, but with Forestera -- an album of infectious dance pop released last October -- and an upcoming appearance at SxSW, she is going to be much better known in the music world in a short time. She is a producer, musician and vocalist from Argentina, but has participated in bands in the UK and Venezuela in addition to her home country. You can experience her art via album track "Guerrero", which is available as a free download from the Soundcloud stream below. If you want to hear more, you can stream Forestera at the Bandcamp link below. Melbourne Cans are Ian Wallace (guitar/vocals), Will McFarlane (bass), Ash Buscombe (drums), and Nina Renee (vocals/keys), who variously are members of other bands such as Pageants, Shocking Pinks, Pets With Pets, Witch Hats, Ladydreams, and Creeks.